Just arrived for a build and in flight testing is the all new Niner RKT RDO, their new go to race rig for xc/marathon. A redesign from the Jet 9 RDO, which now sits on that blurred line between xc and trail bike. The RKT is designed for one thing, speed, as Niner's no compromise frame for fast legs. It is essentially an all new frame. Their excellent CVA suspension system is about the only feature which remains the same. Linkages, pivots, angles, standover, is all resigned for a tighter, fast handling package with improved cable routing and routing for a dropper post and the remote rear shock. 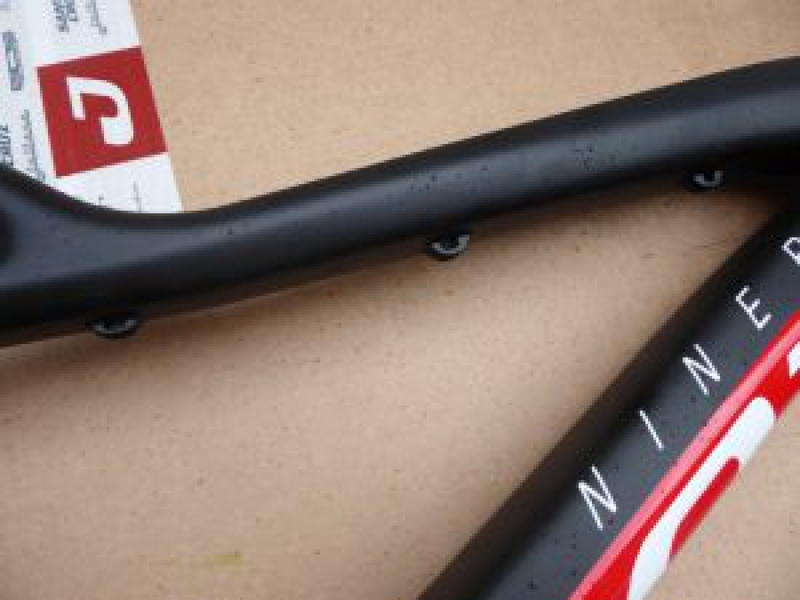 Niner's have always had one of the longest chainstays for a 29er, but that is change no1. 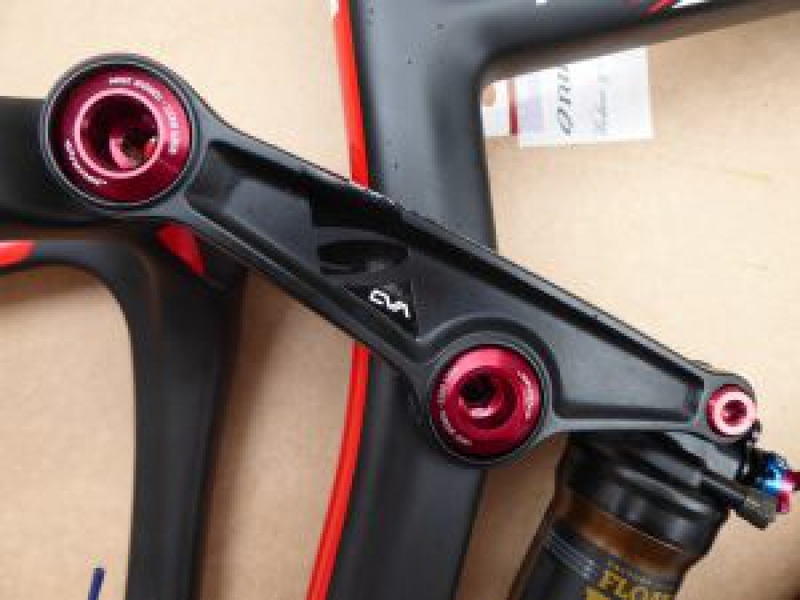 Chainstays have shrunk by 15mm to 439mm, tightening up the wheelbase, to coincide with a slightly slacker headangle. 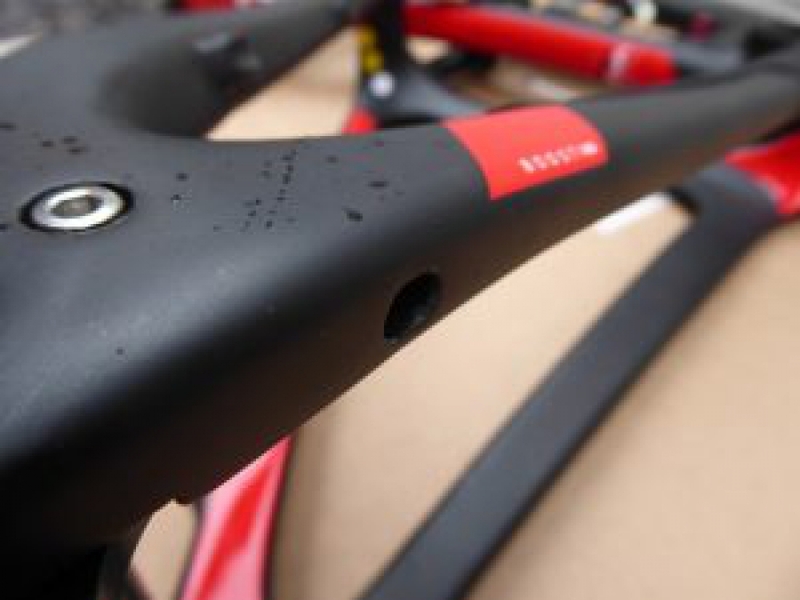 The lower and upper pivots have changed too, the redesign means a much stiffer link between front and rear triangles. The linkages are lighter too with bold alloy bolts throughout. Mud clearance at the BB is also greatly improved over the Jet 9 rdo via the redesigned lower link, a feature we'll be glad of in the UK! 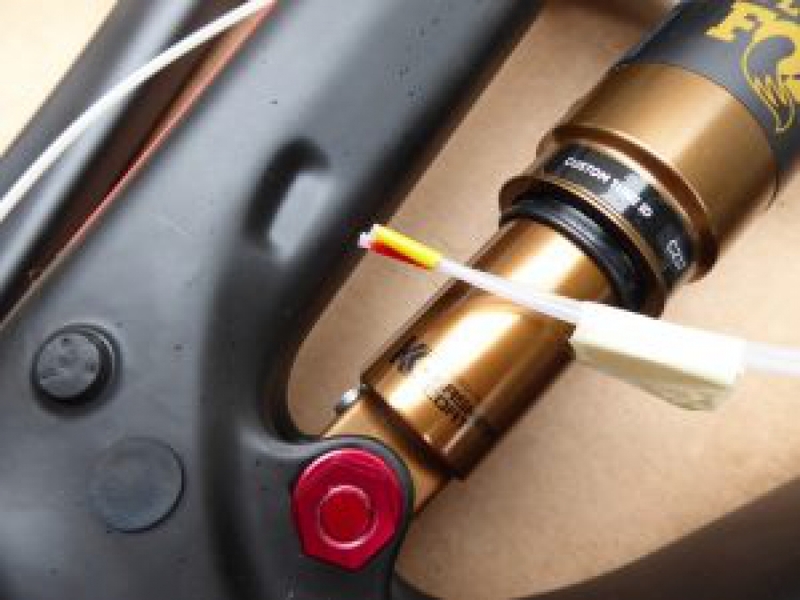 The Fox Factory remote 90mm travel shock out back demonstrates its xc/marathon focus. 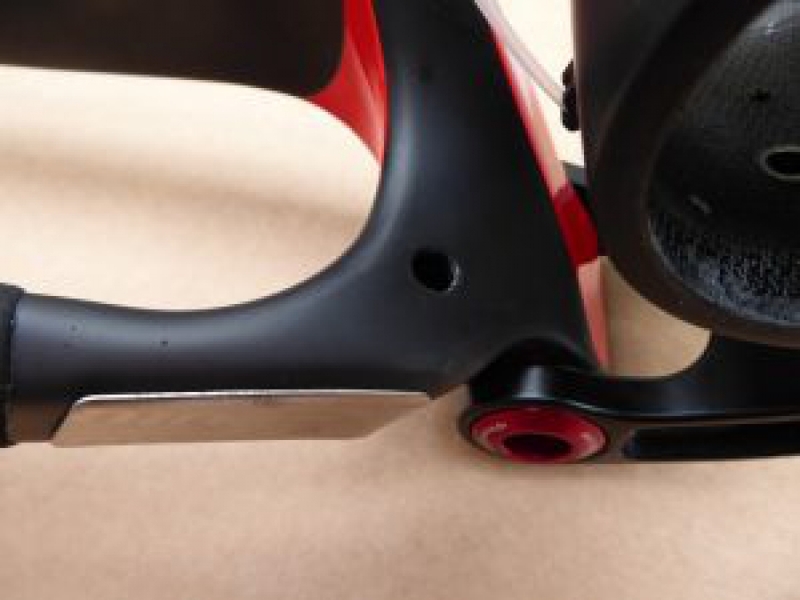 Designed for 100mm up front, it'll also take a 120mm travel fork if you really wanted to give it a more trail feel. 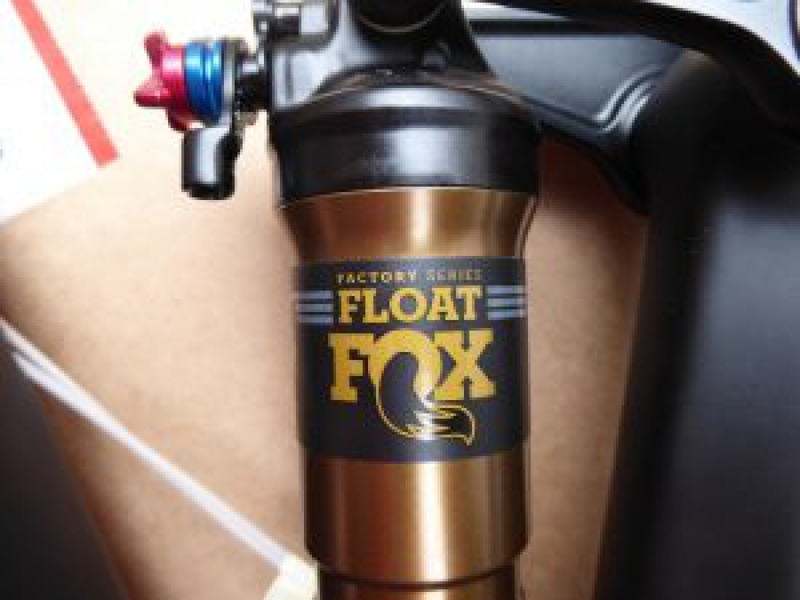 This will be built up with a 100mm Fox Stepcast 32 fork with a single remote lever for the full 'race' bike feel. 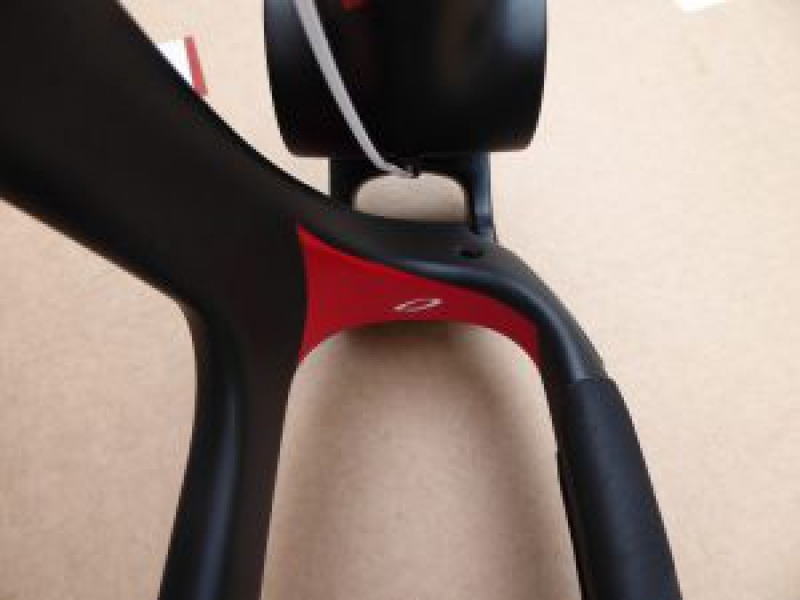 This frame comes with multiple options; for 1x, 2x, electronic gearing or a dropper post. 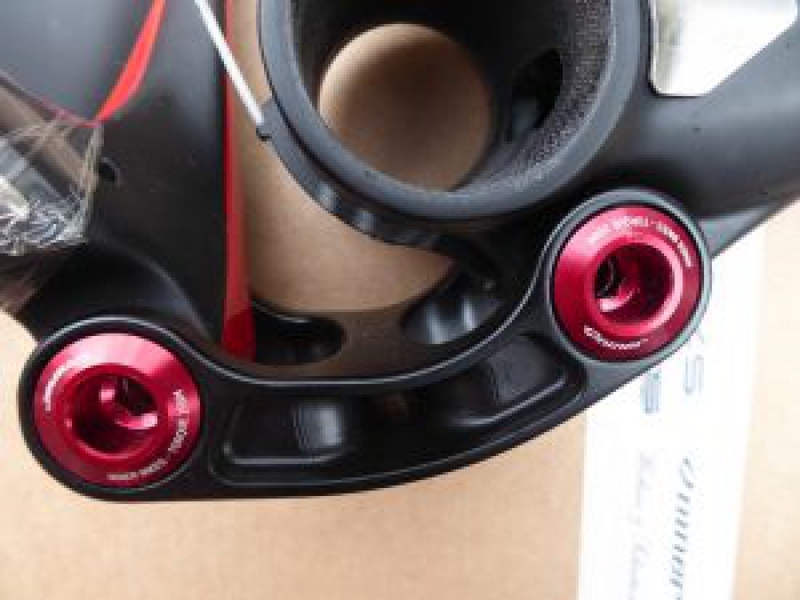 The front mech mount is a neat alloy piece which can bolted on, forming the nut for the lower shock bolt (which adds minimally minimal grams). 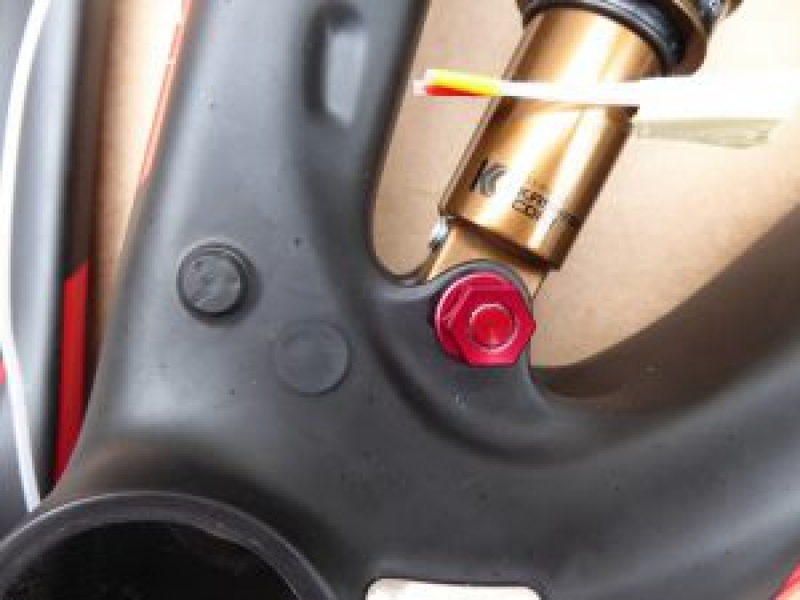 Or go single and use a separate alloy nut and plug the thread holes with the supplied rubber bung. Same applies for the Di2 holes. 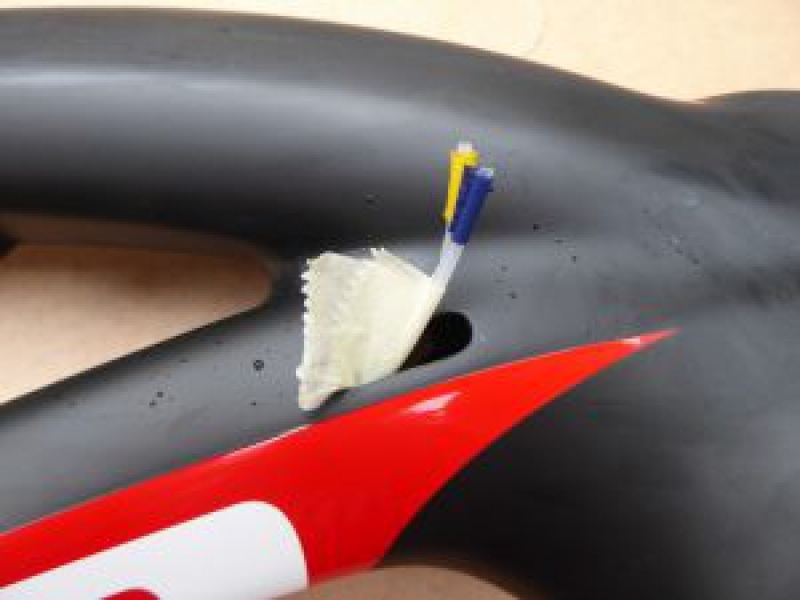 The cable routing goes through the upper section of the downtube as opposed to the headbadge via neat rubber bungs. They come with holes partially prepped. 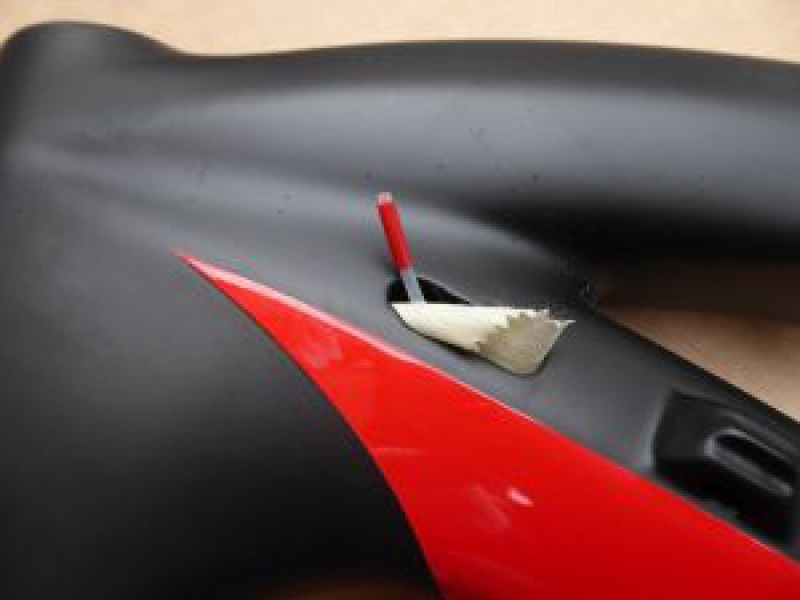 Just fully create only the holes you want to use to keep it all water tight. A simple and neat idea. 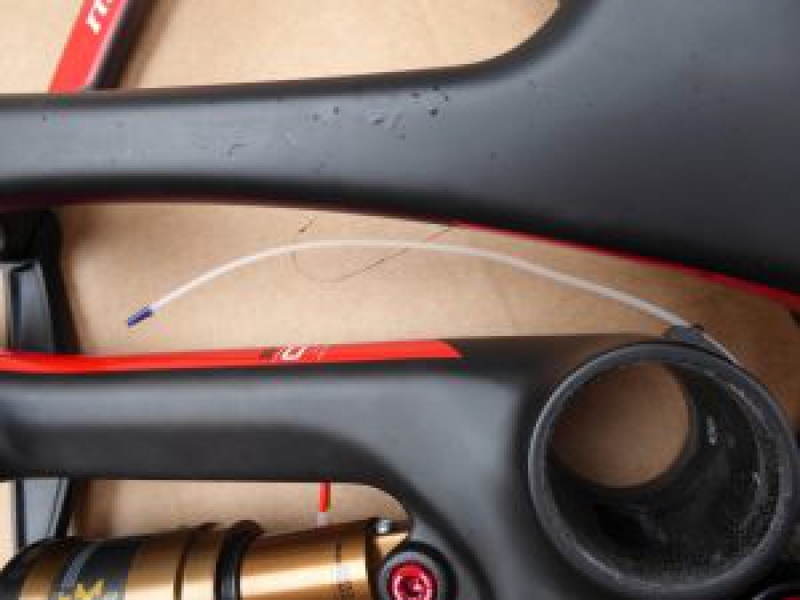 Cable routing for a dropper post runs on the underside of the top tube, or run the cabling internally. 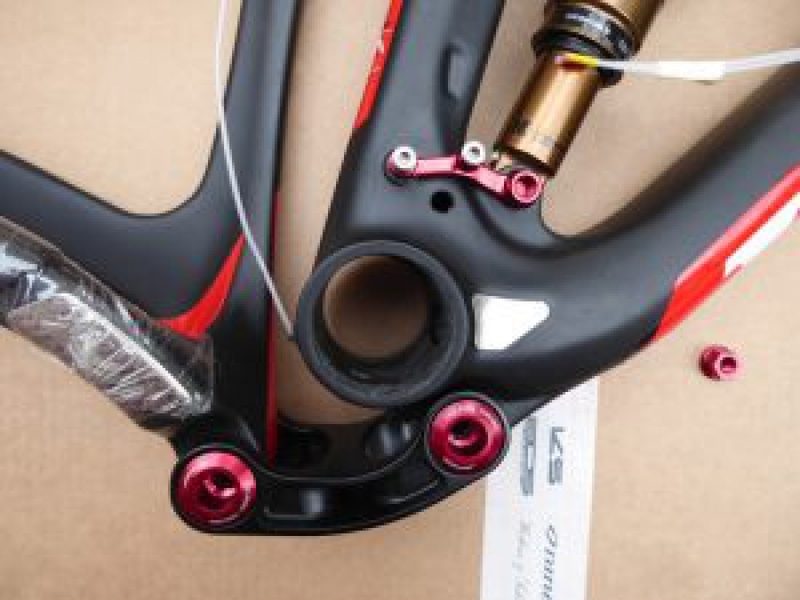 The seat tube size has dropped to 30.9mm to accommodate most dropper post brands, such as the KS carbon. The supplied internal cable sleeves are all colour coded too for ease of set up. The whole package comes in a whole lot lighter, shaving nearly 10% off the Jet 9. The Niner RKT 9 RDO is a very purposeful design for riding fast. We'll be building this up as soon as the bits come in and be putting it through its paces at some MTB marathons and stage races.